“And the Lord replied, ‘I am Jesus, the one you are persecuting. That word was a prophetic word to me. It pounded its way into my spirit...and a powerful force rose up inside. I recognized it as the activity of the Holy Spirit - nudging me to ask for FAVOR on mama & daddy's 55th anniversary! It was as if my spirit knew that she would not live to witness another anniversary. So for 3 continuous hours, that morning after church - seperated by 800 miles - I fervently interceded for the heavenly Father to allow mama to open her eyes to see Daddy... on their anniversary. I cried pä·thakh' over and over...and over. "pä·thakh' ...pä·thakh' ! Open your eyes, mama...pä·thakh'". I felt a release... and then I relaxed in God's Mercy and Grace. It wasn't until the day after, on the day of their anniversary - 1 day before her passing from this earth ...into heaven's GLORY - that the witness of her pä·thakh' had indeed come. 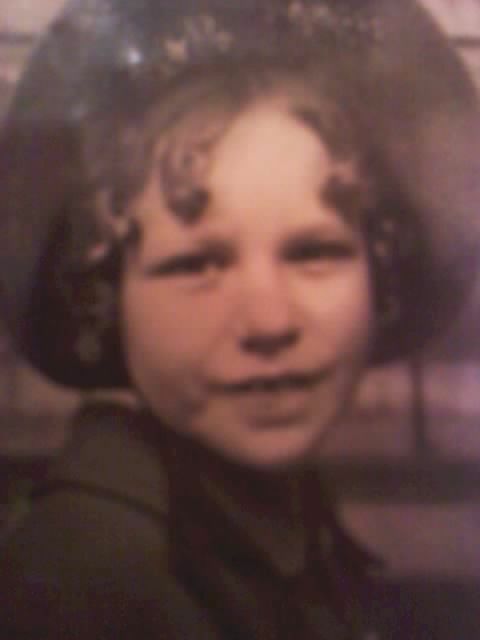 Dad and my sister shared how mom had opened her eyes, for just a brief moment. Searchingly, she moved her eyes from Dad to my sister and back again. Dad reported that her eyes shone with such clarity and were the brightest blue that he'd ever seen! I've found myself wondering if she was also looking for me. Could she have heard my voice in the spirit realm pleading pä·thakh'?.... I choose to Believe. I choose to believe that our great big God carried my voice on spirit wings right to the very heart of my Mother - for such a time as this. I choose to believe that God is that personal with me. That He is concerned about everything that concerns ME....that He is the connector between hearts that seek to serve Him. Someday, I'll share the story of how God allowed her to hear my voice and respond... 2 weeks earlier to this - from her bedside - still in a coma . Miracles come to those who are expecting them. Miracles come sometimes, without being noticed...we must have a heart of 'watchfulness'...there are miraculous happenings around us. God is ever present... in the midst of us - if we just choose to SEE - I choose to SEE. 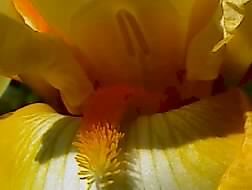 Mother's Day last year - the last day I was in their house - mama's yellow iris bloomed! It was the prettiest site my famished heart had seen in a very long time. I cried! I stood at mama's kitchen window as the tears of JOY just rolled down my cheeks. it was indescribably...serene. This "knowing moment" came over me...she too had stood at this same window season after season - looking out upon the 'first light' of summer. Gone... but never forgotten. Lonely...but never alone. It was in this precise moment, that I knew that I was to un-earth this 'first light' that God had given me, as a 'thank you' from mama. Early the following morning - before leaving their home for the last time - I stood in the rain, carefully excavating mama's 'first light'.... tear stained moments of grief, praise and prayer mixed and melted with the saturated soil beneath my feet. The beginning of a new generation had come. Today, mama's Iris stand straight and tall in my garden! That clump of 'first light' now graces my place with the remembrance of mama and our God that made it so. The 'first light' of this season came on May 1st. I can't even begin to describe the JOY that filled my soul - when peering through my kitchen window - these eyes fell witness to His gift of Glory! ...I won't even try. Mama's pä·thakh' had come! Again !! I took 40 pictures of those 1st two blooms! ..before and after the rain. (with just my cell phone camera - my only camera!) And wouldn't you know...God reminded me that it rained the morning I dug them up from mama's garden... too. 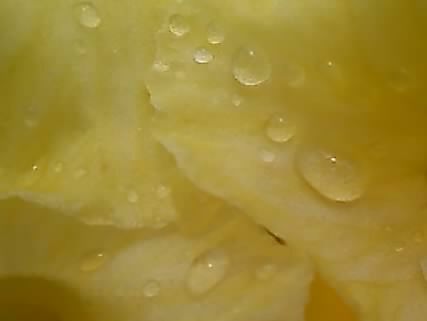 It was like a kiss from God - that gentle refreshing touch of rain. Reminds me of one of mama's favorite old hymns..."Showers of Blessings". I am one blessed daughter! And....I'm the daughter of the Most High King...who showers me with blessings, in season and out of season. My heart is full of gratefulness to my then interim pastor - Jerry Johnson - Thank you pastor Jerry - for your wisdom and obedience to be used of God - for His powerful ministry in and among His people. May God continue to bless you and your family as you minister to God's family. Ohhhh... I wish you'd have put a "Kleenex warning" at the top of this one. What a beautiful word and a beautiful post. I am glad our Father had your pastor speak that word over your mother and over your family. 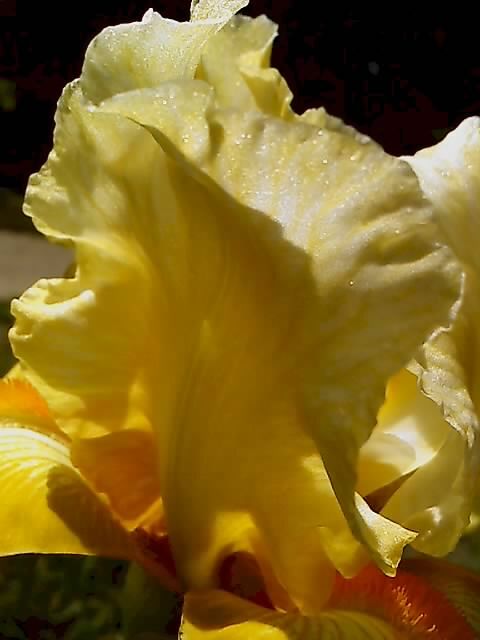 I believe so much was 'opened' that day and continues to open today through your mother's yellow iris and your sharing it with us. Thank you for such an inspiring story tonight. what a beautiful mother's day tribute. divide the bulbs every couple of years. That's so beautiful sister. It also reminded me of my own journey when my mom passed away. She loved flowers too and the year after her passing away, her flowers bloomed the way we [my dad and I] had never seen before. It is amazing when the Spirit intercedes. To me, your mama opening her eyes was a beautiful testimony of Him answering our hearts' prayers. So inspiring. Pa-thakh...I will remember that...Thank you for this beautiful post. God bless. Thank you, friend for you kind words...We believe in a very personal God, don't we? He cares about everything that concerns us. Blessing to you and your family on this Mother's Day. May your spiritual eyes be pa-thakh' to a fresh blessing from on high. You got it! Plans are already in the works to divide the blessing to my daughter -her daughter - and my son and his wife - and their two daughters. Happy Mother's Day, friend and blessings to you and your family. You just reminded me of the rose bush that was planted in mama's garden in memory of her grandson's passing. It grew - but never bloomed until the 'first light' of summer after her homegoing. I'm so glad that the Lord loves us on such a personal level, aren't you? Thanks for picking up the penicil to scribe your kind words of our awesome God. Thanks too for sharing about your mom. I'm a gardener because of mama. Are you a gardener? The power of prayer in action always surprises me. I don't know why. I'm not surprised that God wants to grant our wishes. I'm not surprised byt he power itself. Perhaps it's because it shows over and over God's infinite love for us. Oh, what sweetness. I love the testimony. Pathakh... "Dad reported that her eyes shone with such clarity and were the brightest blue that he'd ever seen!" What I noticed from the testimony is the way God answered you. One of mentors often say, "if you cant explain it, it is God but if you still have an explanation to it, its probably not God" He works in unique and mysterious ways - that's why He is God. it always surprises me too.... no matter how he answers or how often...I never miss His answer. He is so generous with His unending Love! Thanks for picking up the pencil. You never cese to warm my heart with each visit on the Bridge. thank you for your faithful pencil. I loved what you wrote here "what a great God of Pathakh we serve. The God of open doors. The God that open the eyes of the blind. The God that opens the grave for Jesus' resurrection... "
Thanks, Sameul, for adding that. I just love your heart! God has greatly blessed you in your sonship with the KIng! May you continue to be a blessing to everyone you meet, dear friend. What a wonderful post and testimony, with the most profound lessons. This is such a beautiful account Patrina. Faith, Hope and Love ---but the greatest of these is LOVE! For God is Love. 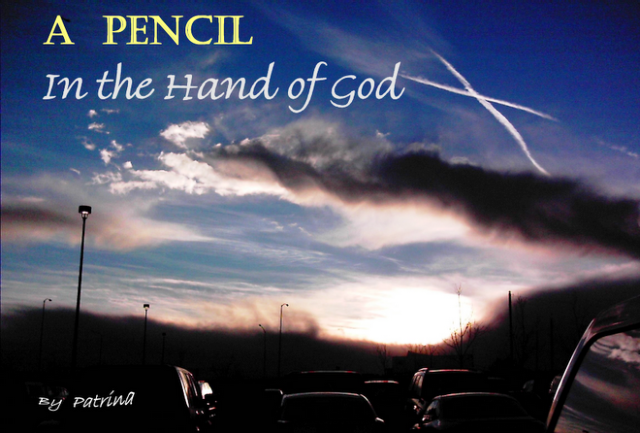 Thanks, Tricia for picking up the pencil... God bless you too, my faithful friend. Sorry I didn't warn about the ned for Kleenex... Surprisingly, I didn't not need them when I wrote the post. Proof that the Lord is the ultimate HEALER... I have replaced the grief and the past of lost relationship with the powerful resstoration of God!! Mom and I have relationship today - even with her in Heaven - because of our BIG God - a God of restoration! My heart is full of JOY today! Praise God for His indescribable gift in Motherhood. God bless you ! and thanks for blessing me...you are a blessing to many. Thank you for this ... my own mother passed away right before Mother's Day 7 years ago. I miss her dearly. And he said,"...I will give them the morning star!" Happy Mother's Day to you Patrina. Thank you so much for this post. How am I just finding your blog now? Love it! It's Mothers Day afternoon, and what a fitting end to this beautiful day! You are so right... you and I have been blessed! I love the answer to your prayer... that she opened her eyes. She saw you, too... as God both directed that prayer and gave His answer. This was so special Patrina! Love & Mothers Day blessings!! God is indeed full of blessings! It is a huge loss, isn't it? ...to lose your mother. I don't think I'll ever not miss her ... thanks for picking up the pencil.. Thanks for visiting the Bridge and for the follow. I look forward to getting to know you. May we be an encouragement tot each other on the path. My friend - Thanks for your personal e-mail message - your 'Mother's Prayer' art is so touchingly beautiful! I didn't recognize the song but I read the words...Beautiful!!! I need to commision you to do one like that fora tribute to my mother...with one of her favorite hymns in the background...very special. We'll have to talk about that! I don't know...I've seen your profile everywhere I go...but never clicked to check you out before either... so many of us people out there - we're all great...just can't read 'em all...I appreciate that you took the time to visit the Bridge... thanks for the follow. Hope to get aquainted soon. We are blessed indeed!! I feel so close to you because of our similar backgrounds... thanks for your heart-felt confirmation...that mama saw me too...at least in the spirit realm. I appreciate you, thanks for picking up the pencil...I look for you. God bless your heart, sonja! What a beautiful post!!! Thank you for sharing! 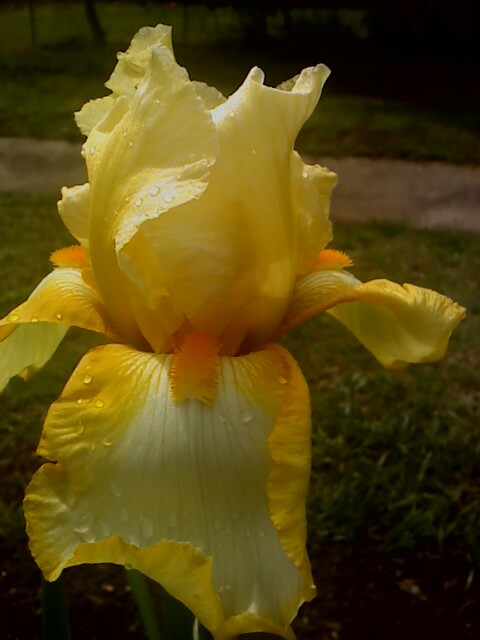 Wonderful photos too of the Iris.Your post is so heartwarming-thank you! Patrina, first off,thank you for your wonderfully encouraging words to me the other day. You'll never know how appreciated they are. You know, God's blessing just goes on and on...Not only did He answer your prayers a year ago in such a dramatic way, but He blessed you again with the opening of those beautiful reminder iris's. And how wonderful that they ARE a flower that can be divided and shared...just like the love our Father gives. 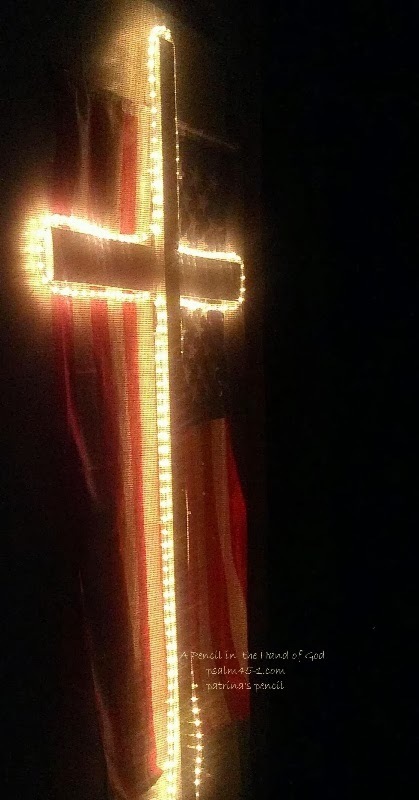 Truly a faith building post Patrina..thanks so much for sharing! you know, Jacquelyn, that's why I blog...to be an encouragement to others and to share God's love... and to be encouraged by others like you... Thanks be to God for His indescribable gifts in each of us that we might be the hands and feet of Jesus to each other - and a dark and lost world. "And how wonderful that they ARE a flower that can be divided and shared...just like the love our Father gives." That is exactly what they represent! Thank you for this added missing piece!! WOW!! All I knew was the Glory of God in them as He provided their appearance on Mother's Day - the last day of my tedious 2 month continual heart service to my mom and dad! I had planned on dividing them with my children and grandchildren, but you gave me the extended purpose in your word picture here... they are indeed representation of the LOVE of our Father is to be divided and shared!! You have made my day!! My pä·thakh' has come again!! God bless you, Jacquelyn with a never ending week...of God's FAVOR! Patrina, thank you again. I have felt the love of the Lord through the posts of so many blogger friends. To think that we can show the love of Christ and reach out to "hug" a sister we've never met in peron is just another testimony to the goodness of God, and how He knows each tiny need we might have, whether it be faith-building, encouragement, a laugh or even sharing a tear. And when we blog about the miracles that happen to us personally, it just serves to inspire us to look for Him even more in the details of our lives, doesn't it? Your children and grandchildren will be so blessed for years to come when they look at their iris! Thank you for taking the time to be an intimate part of my day...I appreciate you soooo much! How awesome it is that a few words back and forth - can facilitate such a blessed growing friendship - I look forward to viewing the future through your eyes and mine - together on this Bridge towards the fullness of God. This is beautiful and I'm glad you have this iris to remind you of your mother and those special moments. God has blessed you through this with lots of love and hope and peace. What beautiful Irises Patrina, and a beautiful tribute to your mom. This is a wonderful testimony to God's love and mercy in the midst of your family's pain. I meant to also thank you for your prayers. I so appreciate it. His witness to the world. Thank you for sharing His word. Wow! After our phone conversation tonight I had to come on and see those yellow iris'! You have no idea how God spoke to me through this entire post but mainly that Hebrew word: "pä·thakh'" - meaning open! My oh my oh my! I am listening, Lord Jesus! I'll talk to you tomorrow after I process this more! thank you so much for your prayer on my wall. i appreciate your heartfelt words sooo much. i got all teary-eyed. A beautiful "opening" of God's love to you, for you, from the very throne of heaven. Praise be to God for his continuing revelation of himself in our hearts and lives! Beautiful post. So beautiful how Our God speaks to us. What a love drenched treasure God deposited within your spirit. You shared it so beautifully. Thank you for you comments on my blog, and for your thoughts & prayers. Following your blog. Such a beloved sister you are Patrina! Your story of love and last times on this earth w your sweet mother are amazing and ...tissue needed to be handy to finish. It will be soon for the new earth story with her and the LORD. I love your mother's Iris! 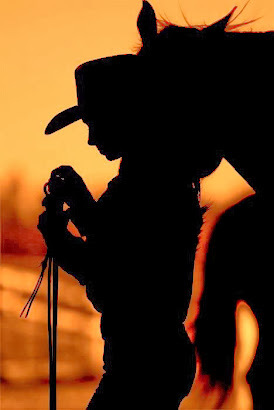 Thanks for the nicest sentiments to me on my blog...I am teaching a friend to get back on the horse on Sunday's after church. I think you knew that. She is riding tomorrow!!! Well, a vaulting cinch ride...she'll love it! I have to see how she sits and she needs to see that she has balance too. I am really loving teaching her...and what she is learning..is more about herself!Please pray for her to come back the God through this horse ministry. much love to you goes! I'm trying to catch up with visiting all my bloggin' peeps....Whew! It's been a while since I've visited you and wanted you to know that this post blessed me so!! What a beautiful tribute to your precious mama and what an awesome thing the Lord did for you before she passed into glory!! We serve an awesome God!!! 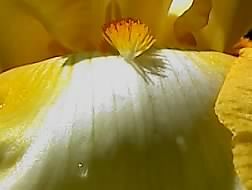 Also, love the continually loving reminder He's giving you through the beautiful yellow iris! Praying that all is well with you and yours! @ Edie - thanks for visiting and picking up the pencil. Honorned to pray for you. God is faithful. @ Rochelle - Nice to see you herre on the Bridge.. honored to write that prayer for you. Now you can go back and re-read it when ever you need reminded. :) thanks for picking up the pencil to let me know you were here. @ Elaine - from the very throne of heaven..indeed. Thanksfor visitng and picking up the pencil... peace for your journey ahead. @ Dorcas - greetings. thanks for visitng and for the follow. I appreciate you picking up the pencil to let me know you were here. @ Grammy Goo - thanks for the follow and for picking up the pencil - I look forward to seeing you here and at your place. @ Jackie - Nice to see you again on the bridge. I'm slow at getting around to visiting everyone too. Been busy in the yard. Thanks for picking up the pencil to let me know you were here. Hugs and blessings to all of you for your kind comments here. I've appreciated all your visits. Have a blessed week! Beautiful post and incredibly beautiful graphics. BTW, I refer readers of my Monday Morning Meditation to your site (on my sidebar); I have always liked it. Patrina, What a delight to "meet" you. Your comment on my blog blessed me immensely. Thank you for taking the time. I'm touched by your post here. It is timely because my husband will be officiating the memorial service of a dear woman that went home the Tuesday before this past Mother's Day. I'm good friends with her oldest daughter and am trying to walk this with her. The youngest daughter has yet to come back to the Lord but we made a special connection when I visited by the bedside of their mom the week before her passing. I'm praying for miraculous things and your faith here and story uplifts me more than I can say. I'm a pastor's kid as well...and now a pastor's wife. The blessings of supporting through the home...your tribute to your mom is endearing. Thank you for letting us see a tender prayer from your heart. I'm praying for God to pa`thakh Mandy's heart and that if I'm to be an instrument in His hand to help her understand...that He would lead my words and my actions. "I'm praying for God to pa`thakh Mandy's heart and that if I'm to be an instrument in His hand to help her understand...that He would lead my words and my actions." God bless you as you continue to minister..in His name. I forgot to tell you that I downloaded your husband's study on The Prostrate Life. Thank him for that for me, will you? beautiful inspiring post..your heart speaks so strong..
thanks for picking up the pencil...this post was just the written declaration of the strong power that was evoked from that one spoken word over my life. Proof that our words are important...there is life and death in the tounge. God help me...I choose to speak only life into the lives of others. If only I could remember this when my attitude is less desiring - and humanly weak. Oh that I were this strong more often. My spirit is willing but my flesh is weak... WE NEED GOD!!! Every minute of everyday - I need His direction and strong tower of strength presiding over me. I need His presence..His warm encouragement to rest in His love....His peace is like nothing on earth. I wish that everyone could know Him intimately as Father and friend. Those 2 things need to come together in many lives. He's more than a Father. He's the ultimate Father figure and He's also a trust -HIGHLY trusted FRIEND!! I am strong when I speak of my Heavenly Father's LOVE for me. I am so blessed to know Him as FRIEND! So blessed to call you friend too, Sarah. You stay strong in the Lord too. We're on this journey and we can't finish strong without His Direction. Thanks for stopping by the Bridgge today. Absolutely beautiful. This was so anointed and a perfect word for me tonight. I love your heart Patrina. I love to visit this place. His presence literally comes through your posts. Thank you for you gift of kindness to me. I appreciate your visits on the Bridge. Thank you for picking up the pencil to let me know that you were here. I am bonded to your 'ONE' Heart. His Presence is literally a breath away. May you experience His peace today in a way you've not yet expected! I am happy to be connected to you through blogger. Patrina! Dear sister! First, thank you for visiting me recently and for sharing your heart. I've been praying for you. 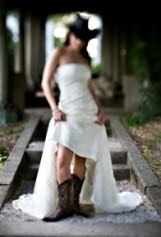 But this post of yours has touched my heart so deeply today - and how beautifully written! pä·thakh'....this is a brand new word to me. I love it! Patrina, stopped by to see if you had a fresh word. Hope you do soon. Love what God gives you. Can't wait for your next post. I thought of you today decided to stop by to know how you are doing. OH Patrina what a beautiful post...beautiful tribute to your mother...but most of all the beautiful reminder that God is always with us...knows where we are and will send His peace, His comfort, our desires, His word at just the right time. What a beautiful testimony of his love! I've missed reading your posts...and this was just perfect. Thank you for your prayers. I need them. The day after I commented on your blog, My dad had a stroke that disabled his left side - slurred his speech and his ability to chew and swallow. He's in rehab - but not willing to live. It has been a very long 2 weeks. So thank you for praying. Please continue to pray God's will - God's way - God's perfect plan. The journey has changed - I don't know what the future holds - but I know who holds my hand! Thank you, as always, for your kind words. I appreciate that you check back to see if I've updated. thanks for the concern and the encouragement too. As you can see in my comment to Vicki, I am not actively blogging. I will try to update soon about my father on a post for father's day. I am so blessed by your thots! !Thank you for thinking of me. Dear friend, you are amazing! I am so blessed by your emails in my father's illness. You have been a strong tower for me. The difference between your e-mails and your character on your blog are like night and day. Are you really two personalities :). I just am so blessed by youro spiritual encouragement. THANK YOU! Thank you for taking the time to be a blessing to me. I love you friend. It has been a while since I visited yours too. I'm not actively blogging now because of my father's illness - but I appreciate your visit and your kind comments. Thank you for picking up the pencil to let me know that you were here. Patrina...it is a honor & soul uplifting to be part of the AWESOME experience dad is going through..you shade a new light on my 'otherwise' thoughts..thank you my dear friend for 'accepting' me as i am & being 'open' about issues to me..am indeed grateful for your friendship...& spiritual morale..as for my 2 personalities..*smiling*...ONLY PEOPLE THAT GET CLOSER TO ME THAT COME TO KNOW ME BETTER...am very much spiritual inclined than i let on because am 'afraid' to pursue the gift in me.... i don't know if i can 'handle' the responsibility...he that much is given, much is expected. tnx my dear friend & i will joyful join you to give thanks & praises to our FATHER when the 'day' comes...*a BIG comforting hug*..shalom. I love you sweet friend. I miss you! I am so sorry about your daddy's stroke. Please know that my prayers are being said for him and you. It is such a difficult time going through this kind of thing with our parents, I have been there with both of mine, but the Lord never left our sides...His amazing grace covered us like a well-fitted glove and it still does every single day. You and your daddy are in my heart and God's will shall always be done...rest in that sweet friend...rest in that. I haven't been blogging as much either due to my husband's heart maladies going on right now and he is struggling mentally inside of himself with all of it...we continue to ride the waves in the storm knowing that the Lord is ever so present. My recent post displays a picture that I took within the last two weeks. If you are up to it, stop in and look at it...it's amazing what the Lord shows us in clouds...absolutely amazing. My arms and prayers are wrapped tightly around you and your daddy, but even better than that, our Almighty Father's arms are wrapped ever so lovingly and securely around you. Dear friiend, I have missed you too. But my thots and prayers have never been far from your side. I have peeked at your blog from time to time to know how things are witgh youo and your beloved. I haven't the strength or the presence of mind to comment. I'll check ouit your clouds! Thank you too, for your love and prayers. Isn't it so strengthening to know that God has planted us in each other's garden to encourage and pray for the other. What a beautiful story. 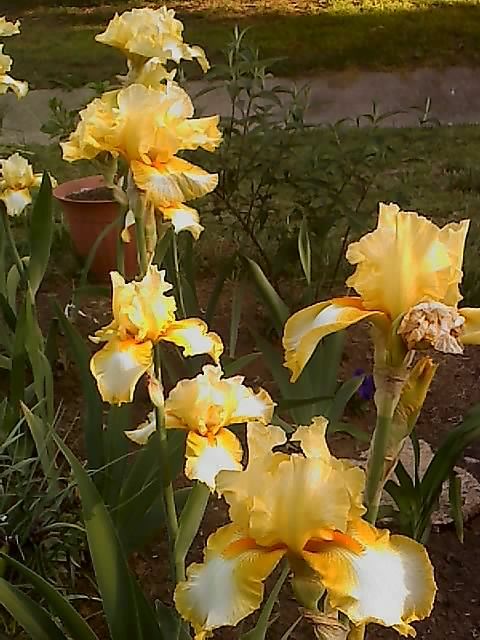 I love all the pictures of the irises too. Thank you for sharing such a personal and deeply felt part of your life. I'm glad to have happened upon this blog. It's nice to "meet" you. I am so sorry that I am not able to blog at this time - my father has been so ill and I have finally brought him home from rehab 2 days ago - but he is an invalid - from the stroke - and I remain his 24/7 care giver. This too shall pass , but for now, my attention is with my dad. I appreciate all of your prayers. the Lord's strength is made perfect in our weakness. I am leaning to rely on God in new ways. He is good all of the time. I am nothing without Him. thank you for your concern. As always, I appreciate you! thanks for caring to pick up the pencil to let me know that you were thinking of me and it is so refreshing to be missed! nice to see you on the bridge. Pretty sure that I joined your place months ago. I ave you highlighted on my sidebar. What took you so long to find me? :) Nice to meet you on the bridge. Hope to see you again when I return to blogging - hopefully - thanks for picking up the pencil to write such kind words. Mama must be real proud of you and all you represent! A very inspiring post! It is a real honour having you follow me. Thanks amd stay BLESSED! I just read your comment about your father. Please do continue to stay strong for him. It is well! Thanks for your sweet comment.I found your blog just yesterday. I will visit again when I find more time to blog. I appreciate your encouragement with my father. I intend to stay strong - The Lord goes before us. thanks for picking up the pencil to let me know that you were on the bridge. I look forward to seeing you again . God bless you, thanks for following Patrina's Pencil.